Nigoğos Bey was the son of Garabed Amira, the brother of Agop, Sarkis and Simon. He had education at home by private tutors. In 1842, after the death of his mother, Garabed Amira sent him to Paris on the French ship, the Sesostris, in the company of Ohannes Ağa Dadian, the palace oil supplier. In Paris, Nigoğos studied architecture at the College of Saint Barbe and graduated in 1845. 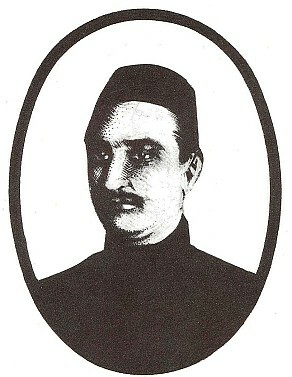 He was the first member of the Balyan family to receive a formal academic education. 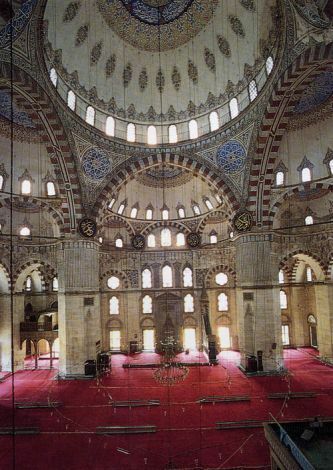 Upon his return to Istanbul, he worked as an assistant to his father and gained practical experience as an architect. At the age of 22, Nigoğos was appointed to build a European style library at the old Çırağan Palace by Sultan Abdülmecid. After then, Sultan appointed him as an imperial architect. Nigoğos Bey’s buildings represent Renaissance art in every detail and combine European style with Ottoman taste and mood. He had an extensive knowledge of the every branch of the fine art and social sciences. He was a philanthropist with a strong respect for the right of others. He established a technical school at his own expense, at which the building workers attended courses in construction techniques, wall decoration, sculpture and stone relief carving given by European experts in these fields. Sultan Abdülmecid appointed him as his art advisor and presented him with the Medal of Commendation and the Medici Medal. He was also closely involved in the affairs and education of the Armenian community. Nigoğos Bey and his wife Nunya Minasian had seven children, named Magar, Yeranuhi, Maryam, Diruhi, Levon, Bali and Minas. He died on 27 February 1858.Thousand of people including many foreigners attended his funeral at the Church of Saint Mary in Beşiktaş, and the Sultan ordered three days of mourning at Dolmabahçe Palace. His tomb in Beşiktaş Armenian cemetery was destroyed when the new Yıldız road was constructed.